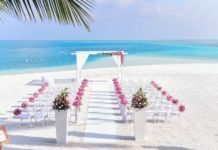 If you’re set on having your wedding abroad but don’t know where to start – we’ve got everything you need to know about getting married abroad and the best destination wedding locations. Increasing numbers of couples are choosing to get married abroad, and it’s easy to see why. Even with far-flung romantic locations, an exotic wedding in Europe or further afield can cost less than a traditional British ceremony with all the trimmings. Many countries make it easy with residency requirements ranging between one and seven days. Some of the best options include Italy, Greece, Cyprus, Mauritius, Seychelles, Sri Lanka, Southern Africa and Bali. Move over Maldives – there’s a new Indian Ocean Island stepping up to to become the go-to destination wedding location. 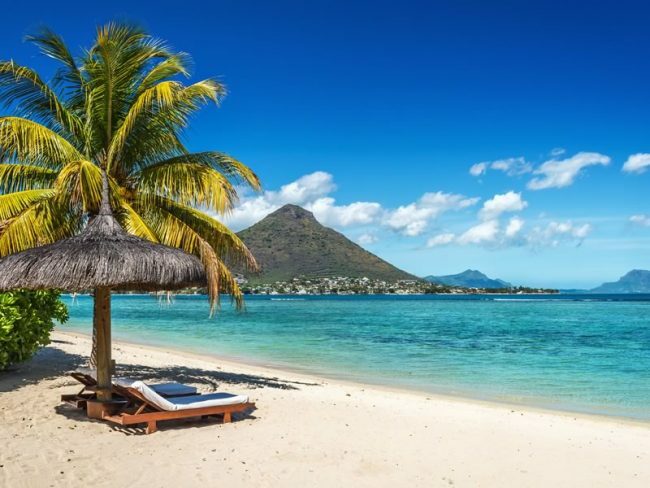 For couples looking for their own slice of paradise to say “I do”, there is nowhere more breathtaking than the island of Mauritius. With stunning volcanic landscapes and sandy, tranquil beaches, you’re guaranteed picture-perfect photos to keep for the rest of your life. 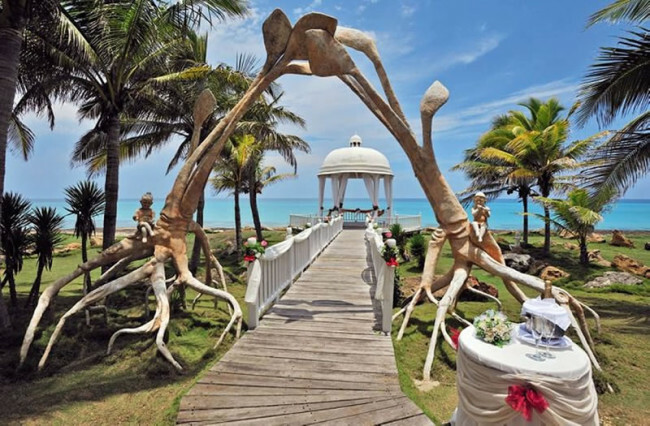 There are lots of different venues to choose from on the island, but nothing beats getting married right on the beach. Could you think of anything better than becoming husband and wife on a five-star beach overlooking calm blue waters? 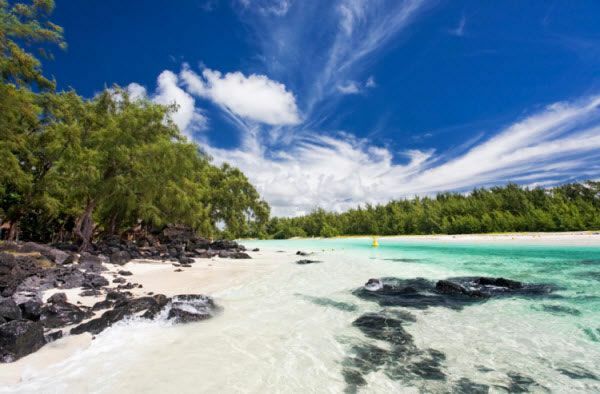 Mauritius has the veil-white sands and Tiffany-blue waters, but it’s got more up its sleeve than just beaches. Pre or post-ceremony activities can include scuba diving, boat trips to deserted islands, and adventures in rainforest-cloaked mountains. Food is another mark in its favour – the cuisine is a mix of French, Creole, Indian, Chinese and African, so there’s something to suit most palettes. 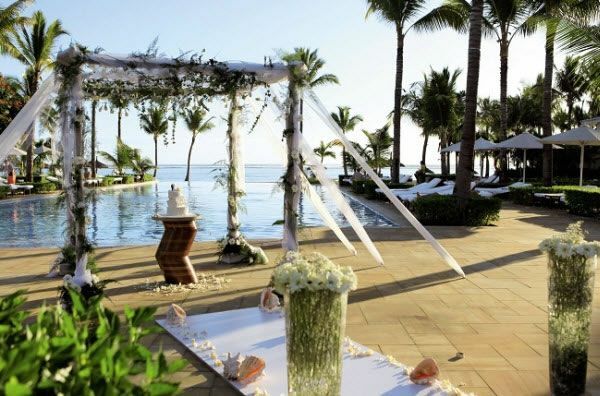 Venue inspiration: Tie the knot barefoot with a ceremony on the sand at Sugar Beach, a luxurious plantation-style hotel on the island’s west coast. 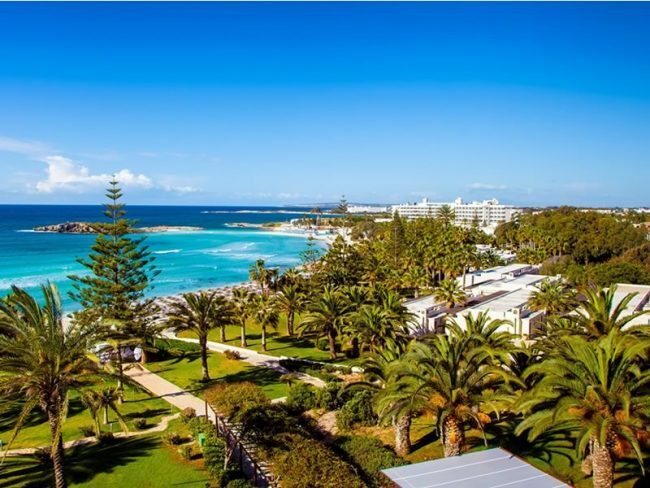 Considered “the island of love” for good reason, Cyprus is one of the most popular wedding locations in the entire world. It’s favoured for the variety it provides those looking to marry. Not only are the beaches Pinterest-pretty but the weather’s fantastic, and the towns and villages are packed with cosy restaurants and romantic, vine-clad tavernas. There are plenty of different venues available, whether you marry in Paphos, Larnaca or Ayia Napa. Choose from beautiful beach fronts, rustic villas, luxury hotels, or traditional churches. One of the best things about Cyprus weddings is that the legal aspects are relatively simple and the wedding is legally recognised back in the UK. Plus, it’s one of the few places where you’ve got the option of a church wedding. Venue inspiration: At Sensatori Resort Aphrodite Hills, you can swap vows in a honey-coloured stone chapel, or at Cove Beach Club, which has Instagram-worthy views of the Med. Fancy having red-roofed houses, gorgeous harbours and World Heritage Sites as backdrops for your wedding photos? Then take a look at Croatia. Croatia is fast becoming one of the most coveted and budget-friendly wedding destinations for us style-savvy Brits. 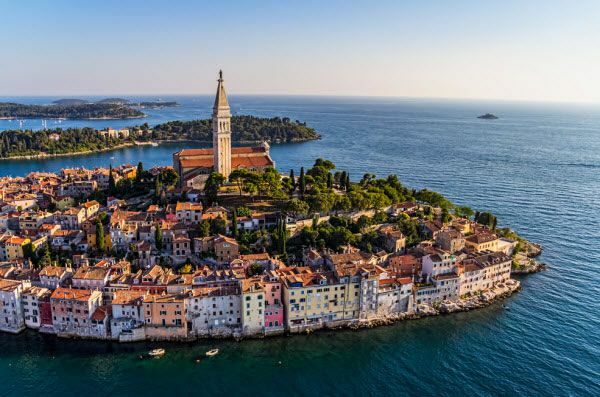 Famed for its astoundingly beautiful rugged coastline, Croatia also offers blissful lakes, pine groves and nature reserves, so there will be no shortage of fantastic settings. Civil ceremonies here take place in beautiful old buildings, while receptions can draw on local traditions – think toasts with rajika brandy and seafood wedding breakfasts with a soundtrack of tamburica folk music. 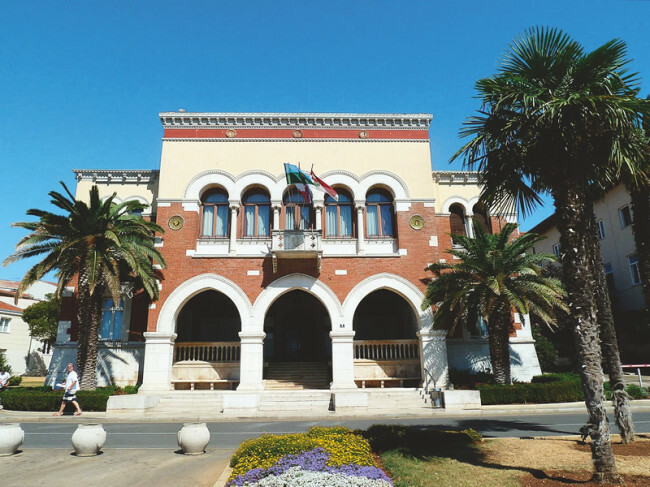 Venue inspiration: Wed in Porec’s town hall and you’ll have photogenic locations on tap. 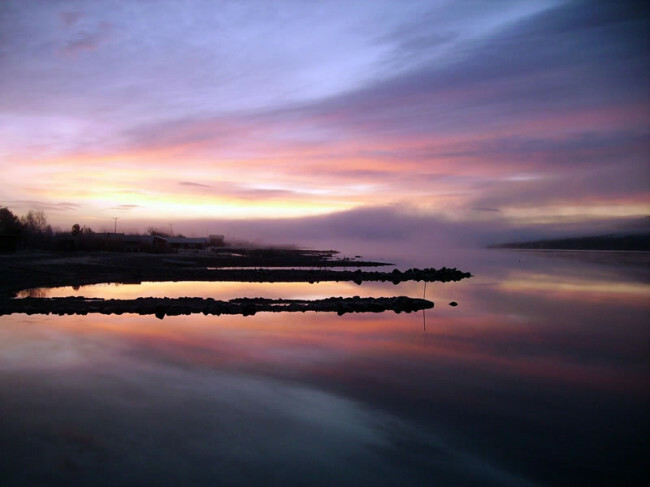 The town’s famous 6th-century basilica is a minute’s walk away, as is the picturesque harbour. Our travel tip? Head to UNESCO World Heritage Site, Dubrovnik for a wedding set amongst winding cobbled streets and a pretty harbour. 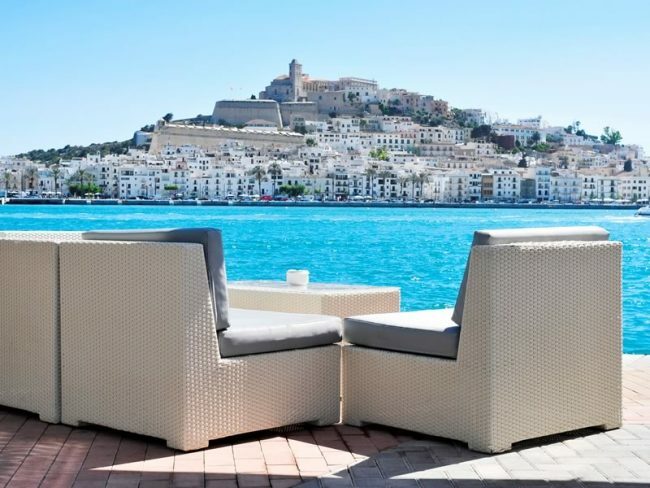 You might think weddings on the White Isle are all glam beach clubs and partying until dawn, but big days in Ibiza usually tend to fall into the ‘laid-back and relaxed’ category. 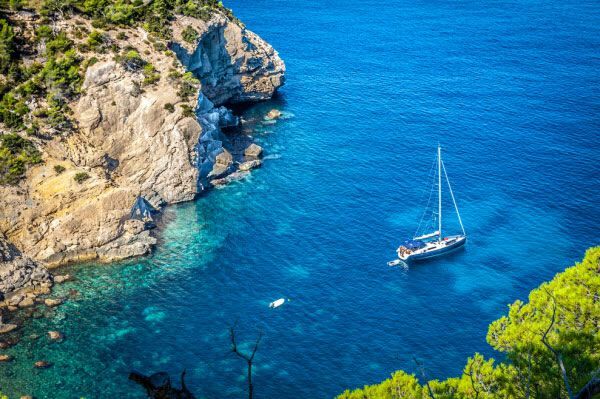 Ibiza isn’t just everyone’s favourite party island, it’s also a fantastic destination for getting married. Dubbed the white island, it’s the perfect choice for those seeking an idyllic white wedding abroad. Sunset weddings are popular in Ibiza. Choose this atmospheric time to say “I do” and it will be unforgettable for you and your guests. 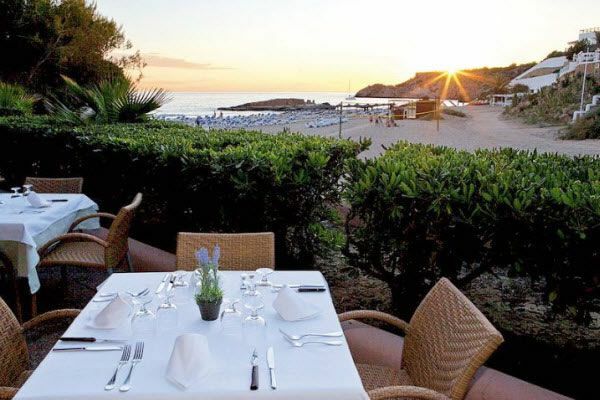 Venue inspiration: Get hitched at Sensatori Resort Ibiza and you’ll be treated to a backdrop of Cala Tarida’s golden sands and the Mediterranean Sea. It’s not just the weather that’s warm in Turkey – the scenery’s pretty hot, too. Turkey is not just a favourite holiday destination for couples, it’s also one of the go-to destinations for couples dreaming of a wedding abroad. 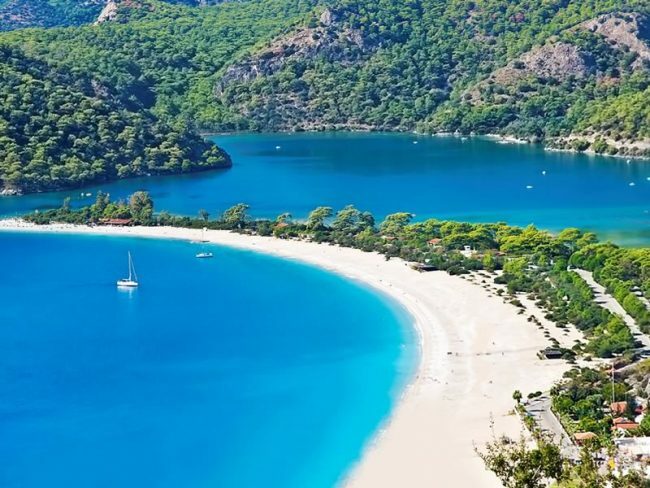 Beach resorts such as Oludeniz host thousands of weddings every year for couples seeking an idyllic location to cement their love. The Blue Lagoon is an ideal place to tie the knot overlooking the mesmerising blue waters. 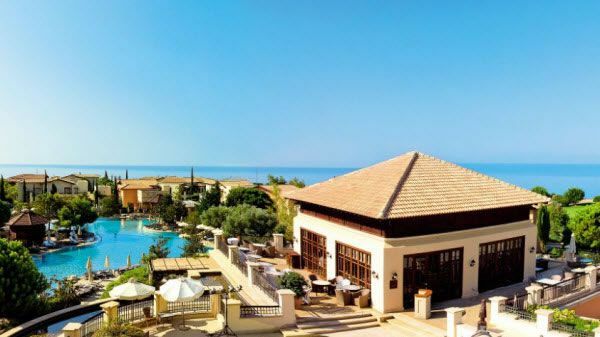 Venues here range from mountain-view terraces and beachfront balconies, to gazebos set up beside teal-coloured lakes. Pre-wedding pampering is sorted, too, with traditional Turkish baths and foam massages in mosaic-tiled hammams – bring your bridesmaids for a girly treat. 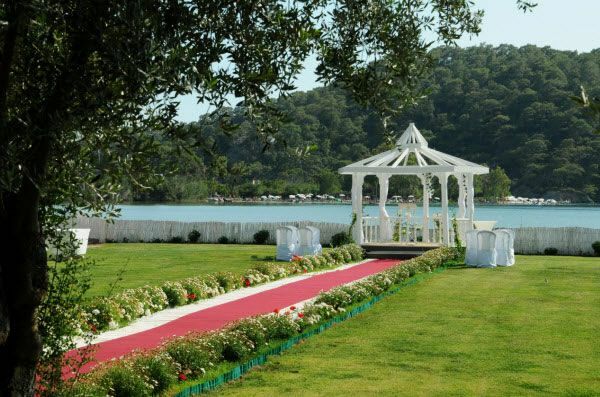 Venue inspiration: Ceremonies at Sugar Beach play out under a decorated gazebo next to the Blue Lagoon, with views across to pine-cloaked hills. 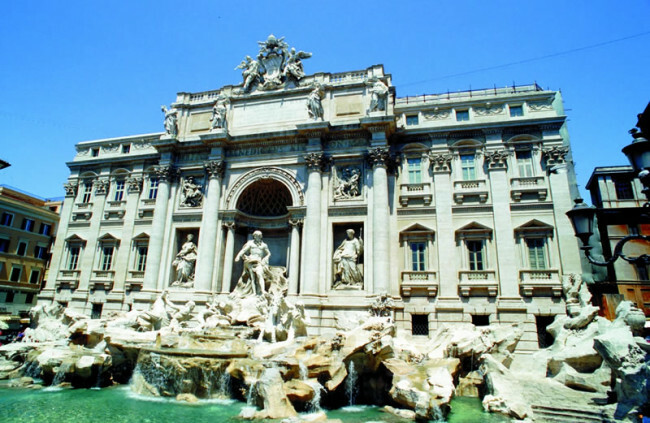 Italy is a hugely popular choice for couples getting married abroad, and for very good reason! Considered one of the most romantic countries in the world, Italy has an abundance of fairytale locations for you to choose from for your big day. 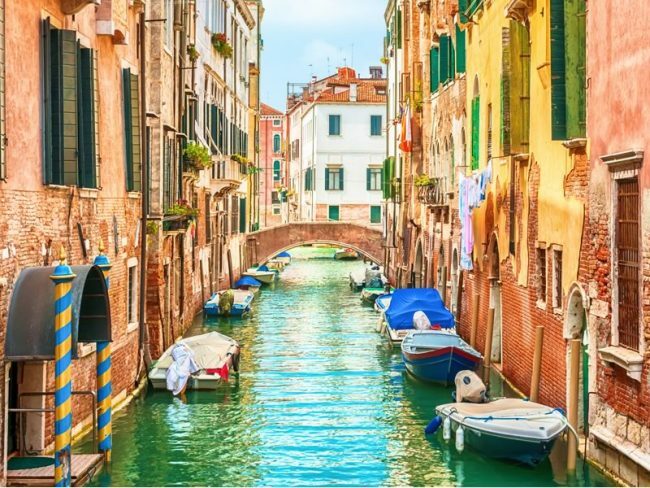 Ever since George Clooney and Amal Alamuddin headed to Italy to hold their lavish nuptials, couples have been falling for a little Latin charm – and according to wedding website marryabroad.co.uk, Italy is now the number one overseas wedding destination. And while the food and wine is amazing, it’s Italy’s rich culture and breathtaking scenery that really gets brides cooing. Fancy becoming Mr and Mrs in a splendid Tuscan castle? Or how about sipping Prosecco at a chic Rome restaurant or arriving in style in a Venetian gondola? For those all-important wedding shots, you’ll also have the picturesque coastlines of the Riviera and the Amalfi at your disposal. You could choose to wed in a castle in the heart of Tuscany, or perhaps you would prefer a 16th-century palace in the spectacular city of Venice. Many opt for the Eternal City of Rome, choosing to exchange vows in their own private villa, surrounded by people they love. 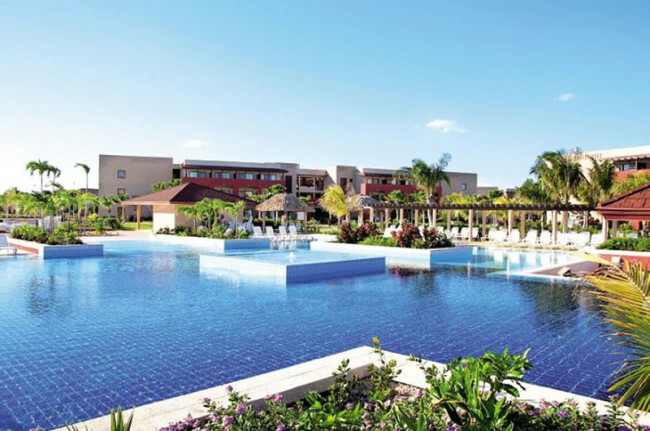 Cuba has long been a favourite for couples with wedding wanderlust and planning your big day here couldn’t be easier. Offering world-class beaches and stunning scenery, as well as rich culture and fascinating history, here guests can soak up the unique culture while your grandma gets to master some serious salsa moves. And if you prefer a sophisticated city affair, then you can’t beat Cuba’s striking capital city, Havana. Jetsetters recommend getting hitched during Match or April for glorious weather and to beat the crowds. Why not give Havana’s famous cigars and local rum as favours, and arrive at your ceremony in a classic 1950s car? Whether you are an outdoorsy couple looking for an action-packed bash or simply wish to kick back and celebrate with your nearest and dearest, this astounding island offers it all. Loved by the glitterati, thanks to the island’s ethereal tropical beauty and relaxed atmosphere, St Lucia has become a top wedding destination in recent years due to the wide selection of venues and swanky resorts now available. 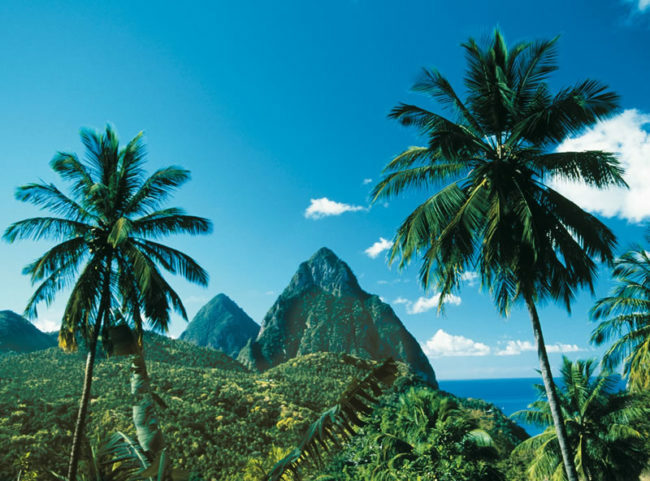 For scenery that will make you swoon, head to the south of the island where you’ll find the majestic twin peaks of Les Pitons, St Lucia’s most iconic landmark, or go inland to witness the out-of-this-world exotic foliage and wildlife the National Rainforest Reserve has to offer. In terms of venues, every type of budget is catered for – from splendid plantation houses and boutique beach hotels to historical ruins and exciting rainforest retreats. Don’t mind if we do. Whether you’re a country bride or city-loving fashionista, our charming next door neighbour France, will never disappoint. 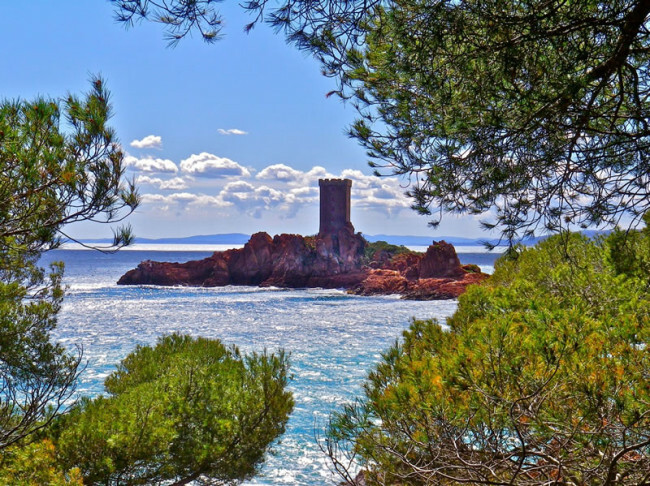 Loved by couples for the vast wedding possibilities, the country offers delicious French cuisine, world-famous vineyards, rustic gîtes and elegant chateaus. Plus, the fact that you can be there in a flash means no ‘can’t get the time off work’ grumbles from your guests! 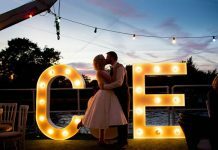 For die-hard romantics, the thrill of holding an intimate ceremony at the top of the Eiffel Tower in Paris will be hard to beat, or you could treat your guests to a cosy bash in the Alps or soak up the sun amongst the rich and famous in France’s luxurious Riviera. Of course, the wine and fashion credentials in France are pretty good, too. 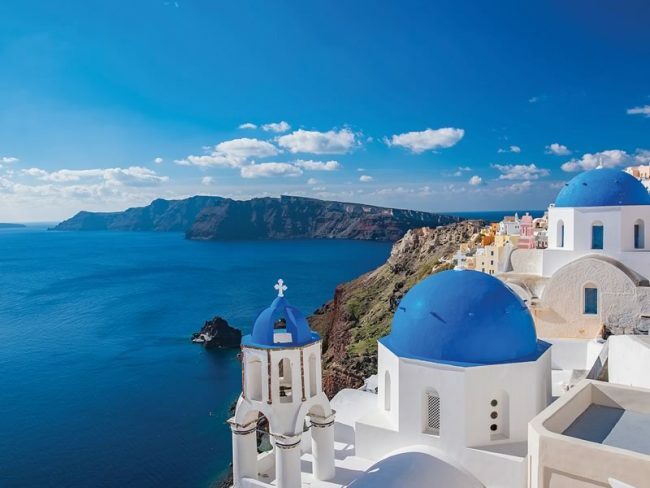 Possessing some of the world’s most beautiful sunsets, it’s no wonder that soon-to-be weds flock to this classy Greek island. 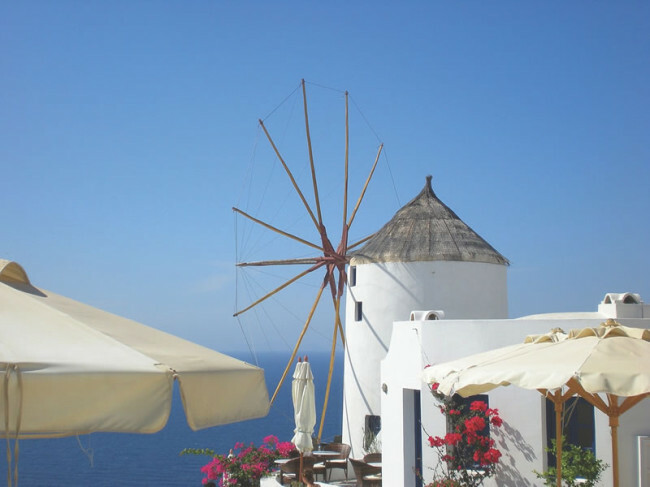 For coo-worthy postcard wedding photos, seek out Oia, one of the loveliest villages on the island, and make the most of the location’s amazing architecture, complete with stark white walls and brightly coloured doors. Many couples choose to wed on the unique red, white and black volcanic sands of Santorini’s secluded beaches before sampling the delights of Greek cuisine and perhaps smashing a few plates. Owing to Lapland’s location above the Arctic Circle, this is a land of amazing contrasts where romantic dark and cosy days are followed by three months of 24 hour sunshine during the summer. Perfect for winter wonderland celebration – what could be more heavenly than a white wedding, complete with igloo, mulled wine and reindeer? Or how about experiencing the extraordinary by taking your vows under summertime’s midnight sun? 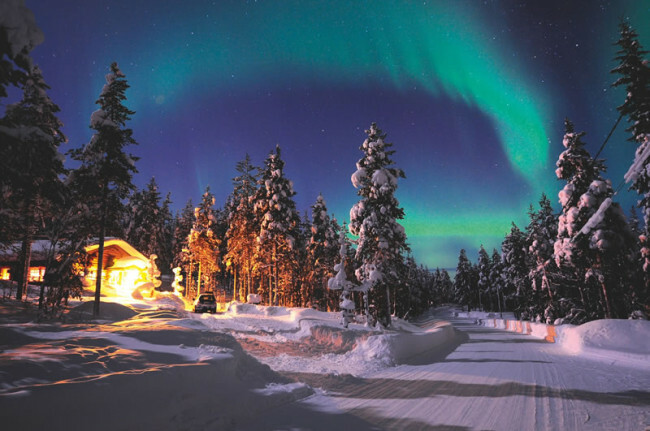 A Lapland wedding is definitely one your guests will never forget. For a back-to-nature wedding that will completely blow your guests’ minds, it’s impossible to compete with Iceland’s awe-inspiring wild scenery! With natural wonders at every turn – from tumbling glaciers and soaring mountains to rolling sand dunes – you’ll be spoilt for choice when it comes to choosing where to hold your nuptials. 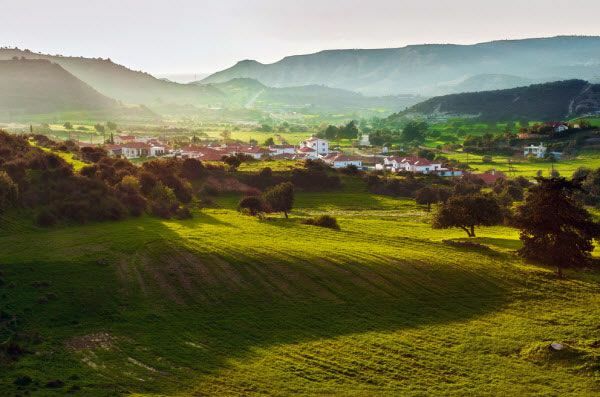 Countless Brits have been captivated by visions of holding a Portuguese wedding, and with its abundance of spectacular locations – including quaint fishing villages, chic towns and a spectacular coastline – travel bods tell us that Portugal is set to become one of the most lust-worthy wedding locations for 2019. 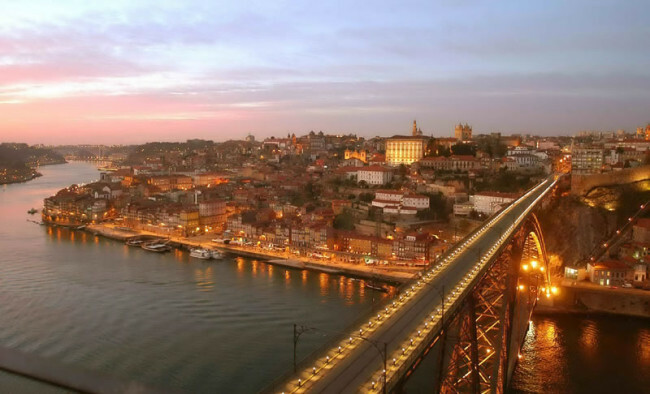 Get ahead of the game by checking out the most popular places for ceremonies such as Lisbon, Portugal’s chic capital city, and the heavenly Algarve on the south coast – but also make sure that you consider less obvious locations such as Porto and the north of Portugal. With the region’s plethora of pretty old churches, modern architecture and stylish restaurants, your guests will be spellbound. Co-Founder of marryabroad.co.uk, Steph Bishop, told us: “Brides and grooms are becoming increasingly savvy about the associated costs of getting married. “Too often in the UK if you tell venues you are booking a wedding, the price quote doubles in an instance. Wedding organisers, Egg know it can be a daunting task planning a wedding overseas. Their special deal includes legal advice, help and guidance with the paperwork, a wedding co-ordinator for two days, wedding transport, translation during the ceremony, liason with a registrar, a multi-lingual marriage certificate and help finding local vendors and suppliers for the day. 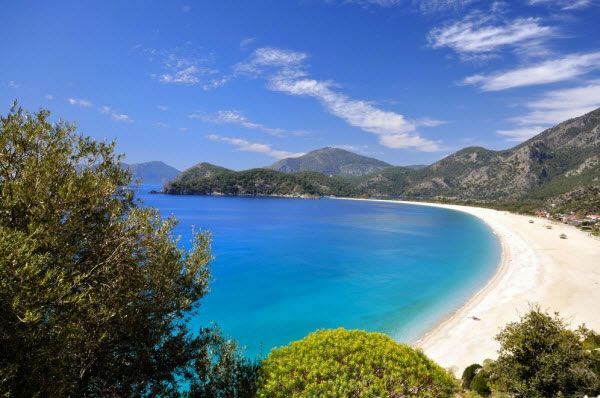 Return flights from London to Dalaman, Turkey, this October start from around £121 searching on travel site www.momondo.co.uk. OR get married with Seaside Beach Weddings, in groovy San Diego, California, USA, at a beach, shoreline park or Cliffside location for just $750 (or around £480 at the moment). This package includes a Reverend to conduct the ceremony, professional wedding photography, step-by-step planning, liaison with vendors for hair and transportation, a hand-tied bouquet and groom’s fresh flower, filing of the California marriage license and a keepsake certificate. The deal also includes a unique ‘Unity Sand Ceremony’, whereby couples create a blended sand ornament together, to symbolise their union. 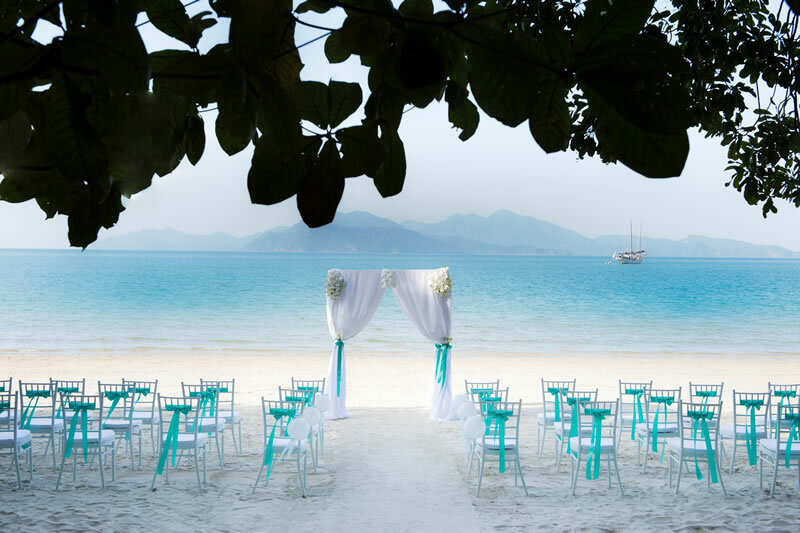 Wedding planners Creative Events Asia are currently offering a Tropical Thai Package, to get hitched on the beach in Phuket. For 52,000 THB (about £959), couples will receive full liaison pre and post-wedding with a planner, return transfers to their beach venue, floral décor, a bride’s bouquet and groom’s button hole, a souvenir certificate, an English-speaking celebrant and a professional photographer who will provide a digital CD of the photos. On top of this, a bottle of sparkling wine, light snacks, fresh fruit and soft drinks are included on the day. Return flights form London to Phuket this October start from around £491 searching on travel site momondo.co.uk. 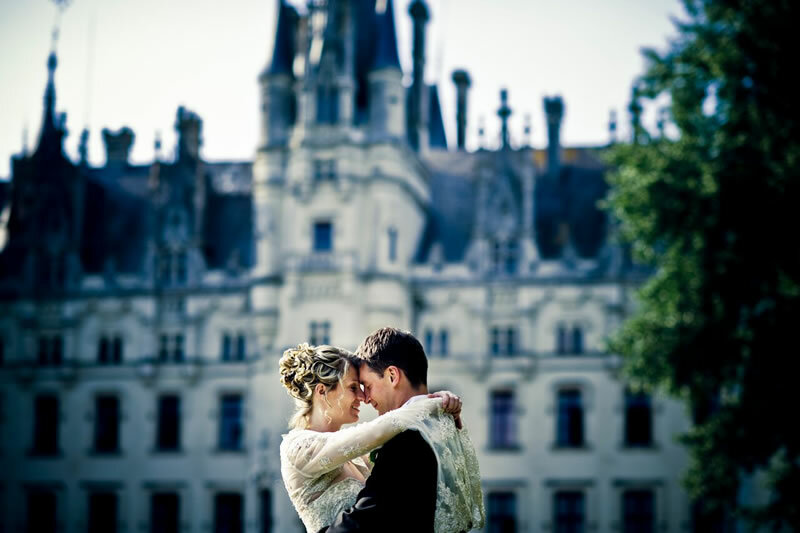 Chateau Challain in France is offering an Elopement Package, perfect for those couples who wish to run away à deux and get married in a castle. The package costs €2,250 (or approximately £1,569) and includes two nights in a Tower Suite with breakfast, one light lunch and one arrival dinner. 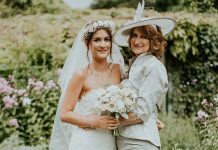 It also includes a garden or tower ceremony with celebrant, a private three-course dinner with a wedding cake, plus flowers, bouquet, hair and make-up, a table centrepiece and the actual ceremony. 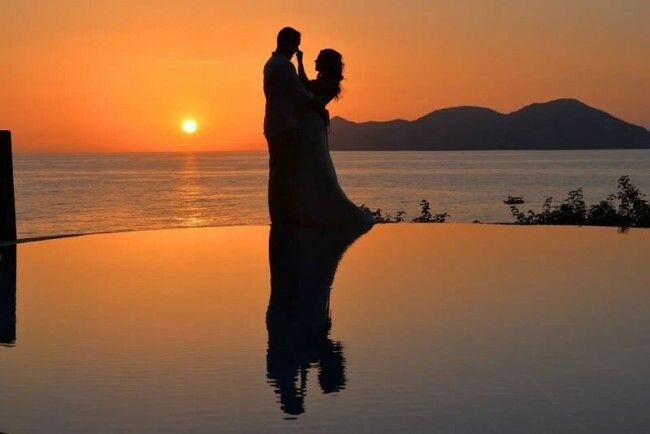 Planning firm Zante Weddings on the Greek island of Zakynthos knows all too well the romantic appeal of the third largest of the Ionian Islands. For just €952 (about £664) – saving 15% – couples will receive a bridal bouquet in their choice of colours, a matching groom’s buttonhole, 36 colour photos, decorated bridal transport and floral centrepiece, music and confetti at the ceremony, a private co-ordinator throughout, plus all translations and marriage papers. The most popular wedding abroad locations change every year, with cosmopolitan options like New York, Thailand, and New Zealand growing significantly in recent months. Your wedding should be somewhere that you’re passionate about. But it’s worth remembering that the hotels and venues in classic wedding destinations, like Cyprus and Mexico, often have better equipped facilities to host your ceremony. As we’ve seen this summer, exotic locations can be at risk of extreme weather conditions! Consider the climate and time of year before booking, and be sure to research rainy and hurricane seasons. If you’re set on getting married abroad, make sure you read our ultimate guide to destination weddings.